Shasta County is a mid-sized jurisdiction at the top end of the Sacramento Valley, and encompassing much mountainous country farther north and east. It was one of the original 27 counties in 1850, and was then much larger, taking in all of northeastern California. 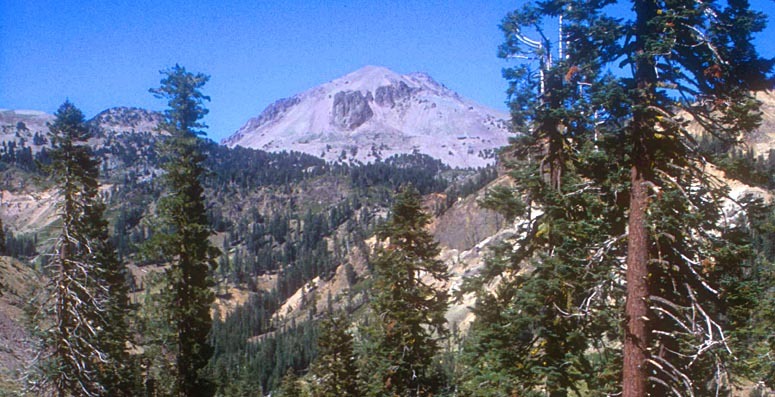 Since then, Siskiyou, Modoc, and Lassen counties have been carved from its original territory. Redding, on the Sacramento River, is the major town. The huge Lake Shasta reservoir is in those mountains; farther east is Lassen National Park, centered around impressive Lassen Peak. The land is rich with habitats: valley grasslands, oak and chaparral, mixed deciduous and coniferous forests. Whiskeytown Reservoir to the west has had good vagrants. The Pit River flows through deep canyons in the northeast, and spots like Burney Falls host breeding Black Swifts. Fall River Valley in the extreme northeast has nesting waterfowl in summer, patches of Great Basin habitat, and many raptors in winter. This is the one of the few counties in which both Yellow-billed and Black-billed Magpies can be recorded. I recall a "gentleman's big day" undertaken one mid-summer day with Stuart & Sally Keith, and just marveling at the richness and variety of habitats in this interesting county. County birding statistics and links are on Joe Morlan's site. 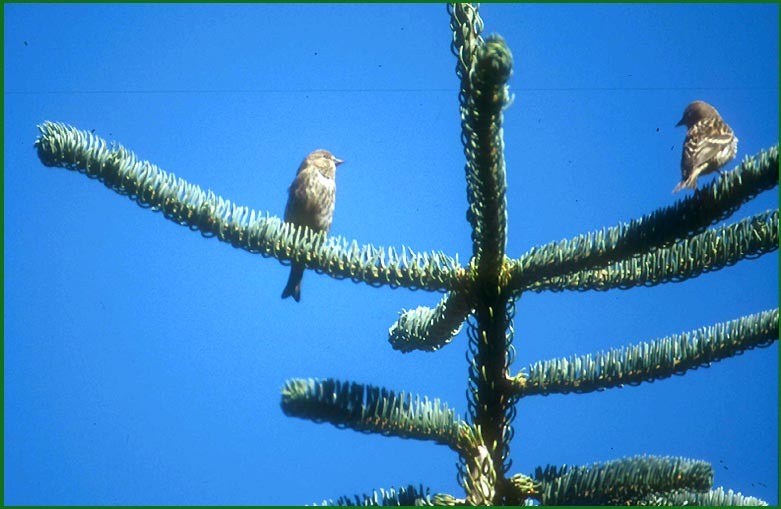 For Shasta County there are two Pine Siskins high in a fir tree. I was actually trying to take chipmunk photos at the time, but there they were, so this got snapped. It appears to be my only bird photo from this lovely county to date. All photos & text © 2006 Don Roberson; all rights reserved.